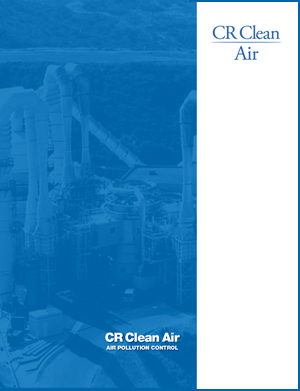 Engineering Sales Manager of CR Clean Air, LLC. With almost 20 years’ experience in the industry, Greg has served a wide variety of roles over his career, including Sr. Process Engineer for Croll Reynolds Co. and Engineering Manager. In addition to a Masters Degree in Chemical Engineering from Northeastern University and Bachelors from Worcester Polytechnic Institute, Greg is licensed as a Professional Engineer in both New York and New Jersey. A specialist in heat / mass transfer and thermodynamics, Greg is well versed in the complexity of scrubbing systems. No matter how complex the system, he and his team have the technical aptitude to take on almost any challenge, with a focus on custom engineered solutions for your plants needs.